The Arboretum Terrace Garden and Lois Crowe Patio (part of the Davis Commons Shopping Center in Downtown Davis) is a Mediterranean-style garden for California’s Central Valley, featuring vine-covered pergolas, decorative paving, container plantings, small sustainable landscapes, multiple seating options including tables and chairs, and more. 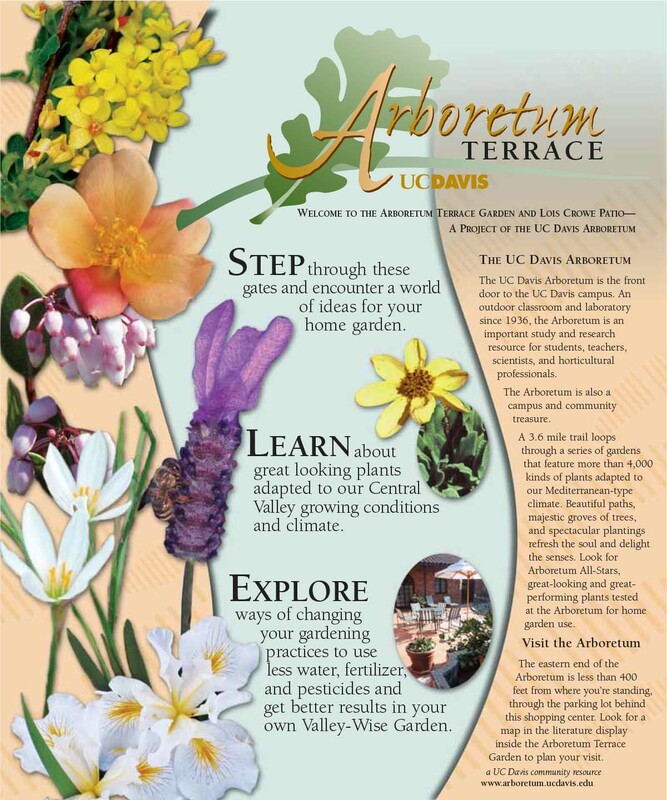 Visitors can learn about Valley-wise gardening: how to create their own beautiful gardens while reducing their use of water, chemical fertilizers and pesticides. Despite the more urban style setting, the plants in this garden provide a refuge for birds and butterflies with Arboretum All-Star plants and garden techniques adapted to local growing conditions. 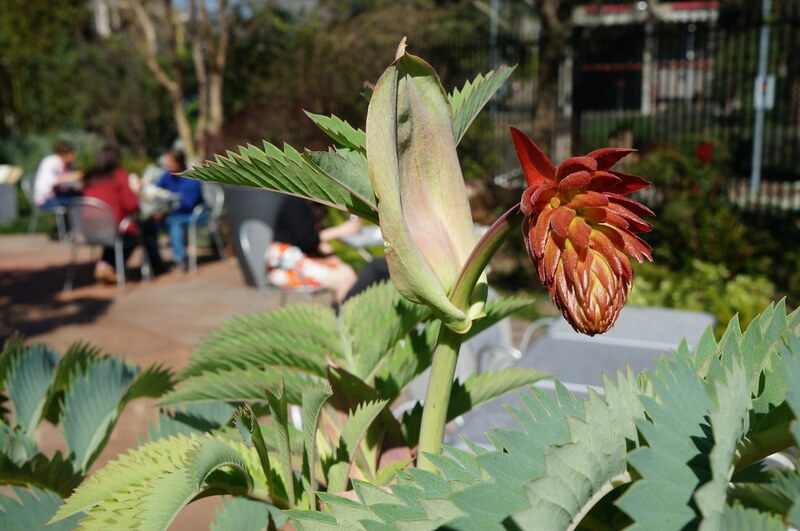 The patio is named for Lois Crowe, an Arboretum docent with a special interest in Mediterranean garden style.